UPDATE 02/08/18: In an unprecedented step in July, the Malaysian authorities announced a review of the country’s death penalty laws. This is a real chance for Hoo Yew Wah, and all people on death row, to be given a second chance. Please keep taking action and let them know the world is watching and waiting. Hoo Yew Wah was arrested at just 20 years old in Malaysia. He was locked up for having drugs on him. Thirteen years later, he’s on death row. This cruelty isn’t right – let’s get clemency for Hoo Yew Wah now. Hoo Yew Wah is now 33. While on death row, he’s written about his childhood in a disadvantaged community; leaving school at 11 and later working as a street cook. He understands his past decisions were wrong. “I have to accept responsibility for my past actions … My friends lived a luxurious lifestyle and I wanted the same,” he says. Hoo Yew Wah’s final chance at life is clemency from the Sultan of Johor. He applied in April 2014, but his petition has been pending ever since. This is where you come in. One lone voice is not enough – we need to stand with Hoo Yew Wah and get the Sultan to pardon him. We’ve helped people like Hoo Yew Wah before. In March 2016 the Sultan of Selangor granted clemency to Shahrul Izani Suparman, who was sentenced to death for drug trafficking in 2009. Call on the Malaysian authorities to commute Hoo Yew Wah’s death sentence. 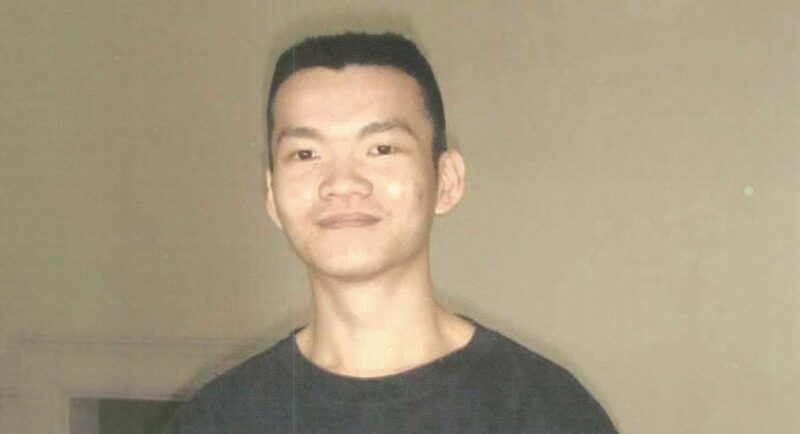 Please support the request for commutation of the death sentence imposed on Hoo Yew Wah in 2011. Hoo Yew Wah was convicted of drug trafficking after he was found in possession of methamphetamine. He was presumed to be trafficking which carries the mandatory death sentence. Hoo Yew Wah also stated that police broke his finger and threatened to beat his girlfriend to make him sign a statement during interrogation. The mandatory death penalty, the imposition of the death penalty for drug-related offences, and the use of ill-treatment and coercion, are all violations of international law. It is time Malaysia abolished the death penalty.